I love cakes that speak their minds. And whisk them all together. Next, throw some softened butter and some granulated sugar into the bowl of a standing mixer. Beat ’em at medium speed until they’re light and fluffy — about 3 minutes. 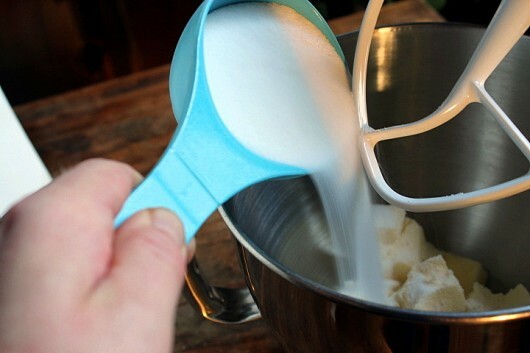 NOTE: If you don’t have a standing mixer, just use a large bowl and hand-held electric beaters. One at a time, beat in 2 large, organic eggs. Also, beat in 1 teaspoon of pure vanilla extract. And 1 1/4 cups Cabernet Sauvignon. 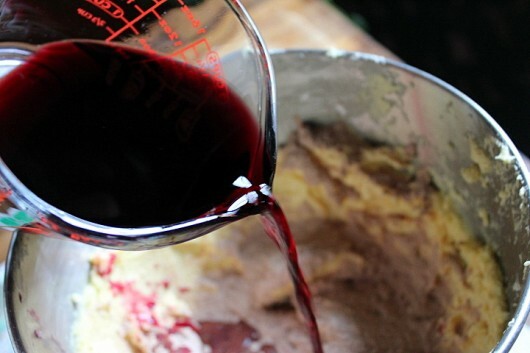 Add the wine and dry ingredients in alternating batches, mixing only until they disappear into the batter. Now butter and flour a 2-quart Bundt pan. Or, just spray the pan with “baking” spray. Baking spray contains flour. No bundt pan in your batterie de cuisine? Get thee one. Any model will do. I ordered my “Jubilee” pan, pictured above, from this online source. Scoop the batter into the pan, and gently level the top with a spatula. Bake on the center rack of a preheated 350°F oven for 45 minutes. The cake is done when a skewer inserted into the cake comes out clean. Let the cake cool for 5 minutes, and then invert it onto a plate or platter. When cooled to room temperature, dust the cake with confectioners’ sugar. Serve on a pink plate, along with some softly-whipped, unsweetened cream. Alrighty then. I have a red plate for you. Folks, this isn’t just a cake. It’s the lover you’ve always wanted, and the ideal date for a Saturday night. Here’s the printable, which you are only allowed to read if you promise to leave a comment below. This cake is the perfect date for Valentine's Day. It's dark, rich, and exquisitely-perfumed with good Cabernet Sauvignon. Don't make me beg you to try it. 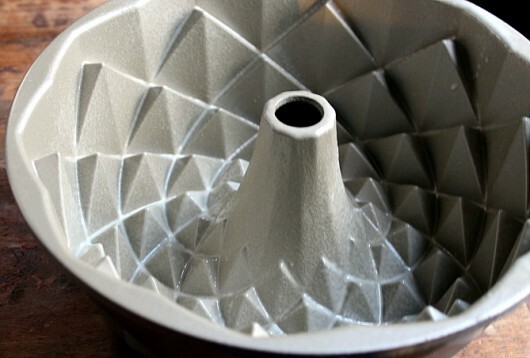 Center the oven rack, preheat oven to 350°F, and butter and flour (or spray with "baking" spray) a 2-quart bundt pan. 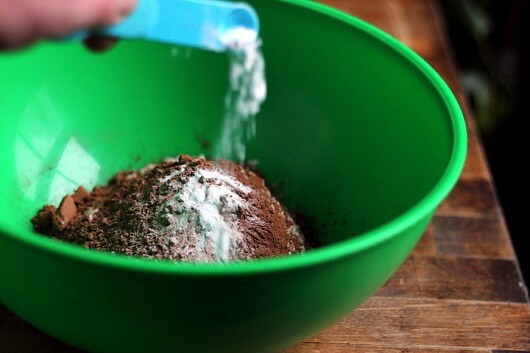 In a large bowl, whisk together the flour, salt, cocoa powder, and baking soda. 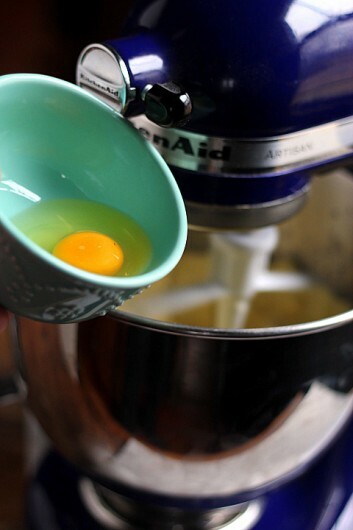 In the bowl of a standing mixer (or, use electric beaters), beat the butter and sugar at medium speed until light and fluffy. Then beat in the eggs one at a time, followed by the vanilla extract. At "low" speed, add the dry ingredients and the wine in alternating batches. Blend only until the flour and wine disappear into the mix. 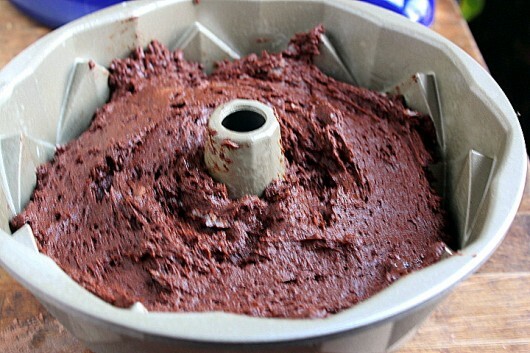 Scoop the batter into the prepared bundt pan, and lightly level the top with a spatula. Bake until a toothpick inserted into the cake comes out clean -- about 45 minutes. Let cool in the pan for 5 minutes, and then unmold onto a plate or platter. When cooled to room-temperature, dust with confectioners' sugar. Serve with unsweetened, softly-whipped cream. Enjoy this recipe? Get my email updates. Ok ,for this Gluten free moma ,I will try it with Almond flour and it it’s good I will holler so loud you will hear me all the way to NY . If almond flour does not work, I will slink away and eat it all by myself …. because it IS CHOCOLATE after all! Omg! Wine and cake in one bite!?! I’m sorry, is this a cruel joke or the recipe for heaven? I’m making this to-now (today, right now)! Lord have mercy!!! Is this what Ignatius J. O’ Reily was waitin for his momma to buy before he almost got wrested for being a communiss (while she was complaining about her arthuritis)? (If you haven’t read The Confederacy of Dunces, you should.) I finally have a recipe for wine cake!!! Thank you, you damn Yankee! Hi Patty – Sounds like a fun read — thanks for the rec! I might use a mix of rice flour, potato starch and tapioca starch with almond flour to make a lighter gluten free cake. I’m going to make this, for sure. How much sugar?? Hi Janet – Whoops! I’ve added the sugar amount to the printable recipe: 1 3/4 cups (350g). Hi Pat – Thanks for posting your comment here. I used regular all-purpose (or “plain”) flour for the recipe. No need to use cake flour. This looks soooo good. I cannot drink alcohol with my meds so any opportunity to mix in a little with food is welcomed! And I shall get me a decent bunt pan! OMG! This will be – no crystal ball, but I predict it here, before you all – my husband’s favourite cake now. This will replace his beloved Mississippi Mud cake. He’s a wine maven and adores chocolate. Chocolate, wine and cake!! Any one of those is attractive! 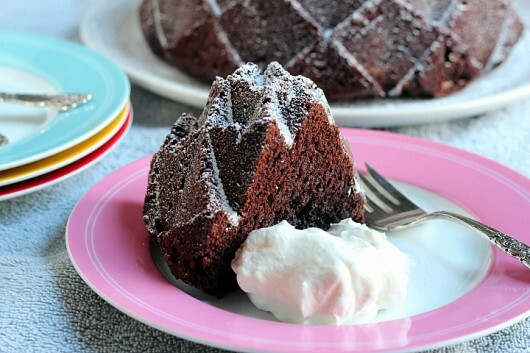 Can you tell me what size cake tin you would need if you didn’t use a Bundt pan – since I don’t have one! Also, the cooking time etc if it’s different. Can’t wait to try it. Oh, what is cake flour? Is it what we call self-raising in the UK? My birthday is 2 days before Valentine’s Day. This will be my new birthday cake. Thank-you! I’m not normally super-drawn-to desserts (I know, how weird is that?!?) but I must say this looks fabulous. I wonder if a drizzle of dark chocolate ganache would be overkill or would be good. Think I’ll try it! Thanks again as always for a wonderful looking recipe. I am making this right now but I just noticed in the recipe it doesn’t mention how much sugar. Help! 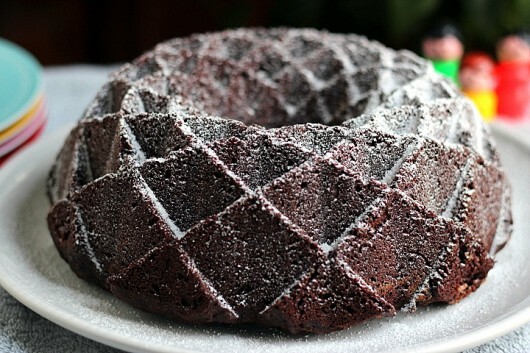 Hi Paula Diggle – I’ve only ever made this cake in a bundt pan. 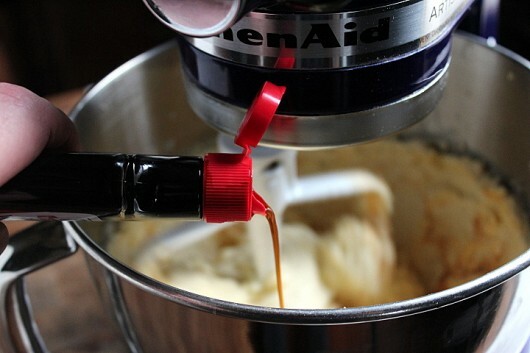 Lacking such a pan, you could probably use any cake tin (or loaf pan) that will hold 2.1 liters. Check the cake after it has baked for 40 minutes. Hi Kelly – 1 3/4 cups sugar. Hope you rec’d the email from me! 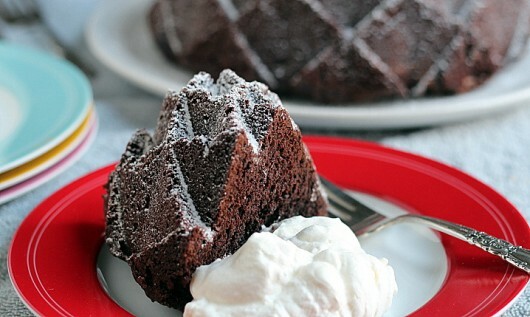 Hi Dori – To “dust” a cake, put 1/4 cup confectioners’ sugar in a fine-mesh sieve (or “strainer”). Tap the side of the sieve with your hand, and the sugar will sprinkle gently and evenly all over the cake. It’s a fun job! I got you email just in time!!! Thanks! It’s in the oven now. It may be the best tasting batter ever. Well, thank goodness I saw your message in time. Phew! Oh my, stop this right now! Too many delicious recipes! Haha! Thanks, Kevin! And to think I almost gave away my bundt pan! Hi Despina – Yes, you can freeze the cake. Enjoy! Sounds yummy! Will have to try. Do you think the drizzle of ganache woud make it too sweet? As usual, if I want a birthday cake I’ll have to make it myself. This one gets my attention! OMG!! Kevin does the wine come through in the flavor of the cake? I have to make this for hubby who loves a cab and chocolate! I made it for “the game ” party last night. I think i need to check my over temp. I left if for the full 45 minutes (didn’t trust t my nose as i usually do) and it dried out . (can you imagine that with two sticks of butter! )It also did not rise well. I have had trouble with my bundt cakes rising since i moved to Ga . They were always high and gorgeous when i lived on Long Island. . Guess i need to do some research.The taste was good .and folks we amazed that it had wine in it. Hi Debra – The wine flavor permeates the cake, and compliments the chocolate. Enjoy! Hi Trudi – You are right — your oven might run “hot.” Maybe reduce the baking time to 40 minutes. You might test your baking soda too, if you haven’t already (here’s the how-to). 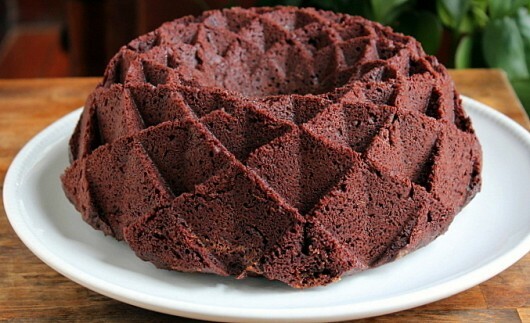 As it bakes, the cake should rise to the top of the bundt pan, and its crumb should be moist and wonderful. Let me know how the almond flour-version works out for you! Hi Trudi – Ingredients in the printable are what I used. One other note – take care not to over mix the batter once the dry ingredients have been incorporated, or the cake won’t rise! Also, put the cake in the oven right away. Baking soda (not powder) loses its foaming action soon after it touches the wet ingredients in acidic batters and doughs. Yummy yum! Thanks for another brilliant recipie, Kevin! 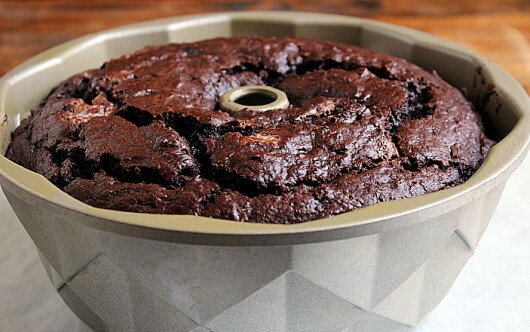 I just made and tasted the cake – unbelievably light, moist and the flavors are delicious!! I used 1/2 dark chocolate 1/2 “regular” cocoa powder. I used three thieves cabernet sauvignon. it will take all my will power to not finish this cake I the next two days – BY MYSELF! Looks delicious and fun to make! Thank you for your x-rated cleverness! Perfect Valentine’s Cake! And it turned out perfectly – just like the picture!!! Made my day. I have a bundit made of silicon…would that be okay? Why can’t Dutch processed chocolate be used? 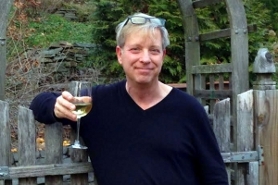 Thanks Kevin…enjoying do much your blogs! Hi Chit – It’s all about chemistry. 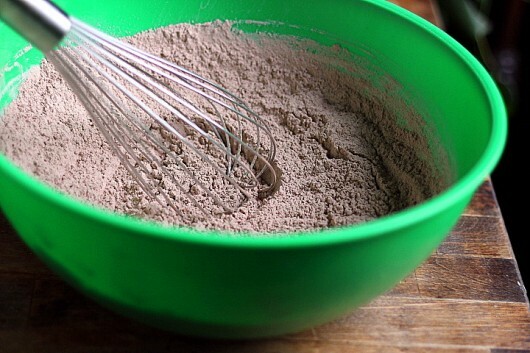 Natural cocoa powder is acidic, so it requires only baking soda (which is all alkaline) for leavening. 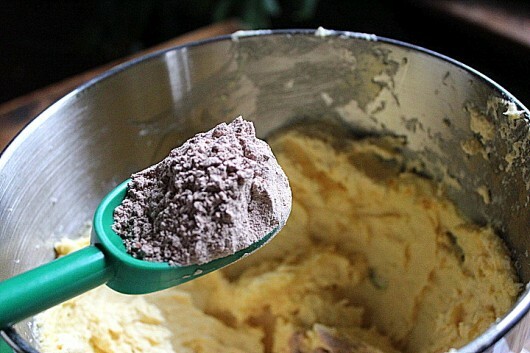 Dutch process cocoa is alkaline, so you’d have to play around with both baking soda and baking powder to insure a good rise. See Baking 101: The difference between baking soda and baking powder. this was so delicious! I do not have a bundt pan so I made cupcakes. Was able to share them for Valentine’s Day. Any report back on a gluten free version? My daughter wants to know so she can make this cake too! I think this cake should be called “The Man’s Get Out of Jail Free”cake because what woman could ever not forgive her husband who baked one of these for her. I couldn’t resist I added a half cup of mini semi sweet chocolate chips to the batter. HAVE TO SAY I HAVE MADE THIS CAKE SEVERAL TIMES. MY HUSBAND LOVES IT AND I ;HAVE TAKEN IT TO GATHERINGS. AND ALWAYS PEOPLE WANT THE RECIPE. I ALWAYS MAKE SURE THAT I HAVE CABERNET SAUVIGNON & BAKING COCOA IN THE HOUSE. Hi Diane – I’m so glad you like this cake. One of my all-time favorites, too! I will definitely be trying my skills out on this cake. Thanks Kevin and to all of the good feedback everyone has provided. I’m guessing that the rest of the bottle is the reward for a job well done! This cake is baking right now! I brought the cocoa home from Germany. The cocoa is dark and fabulous so I know the cake is going to be over the top delicious! I might pair up the cake with the homemade whipping cream and raspberries next time. I wanted to make this at work last week, but we were out of the red wine. I can’t wait! 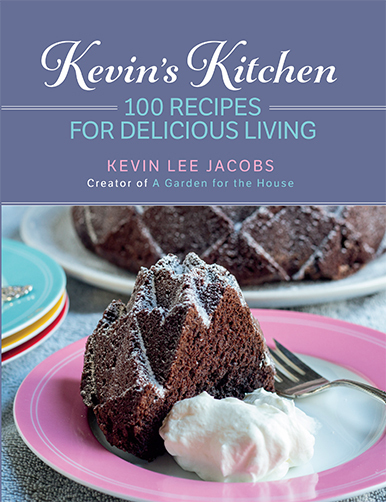 Thank you for all the recipes you share Kevin!